Shōgayu or ginger tea has the power to warm your body and soothe your soul and yet it’s not much more work than brewing a regular cup of tea. This basic recipe for a Japanese-style ginger tea covers everything you need to know to make this delicious elixir. Shōgayu (生姜湯) literally means “ginger hot water” and is a tea made by steeping grated ginger in boiling water. Ginger has long been revered for its medicinal properties in Asia, and drinking Shōgayu was not only a way to warm up during the frigid winters in Japan, but it was also thought to ward off colds. As it turns out ginger is loaded with anti-inflammatories and antioxidants, which may help to explain some of its immune system boosting properties. 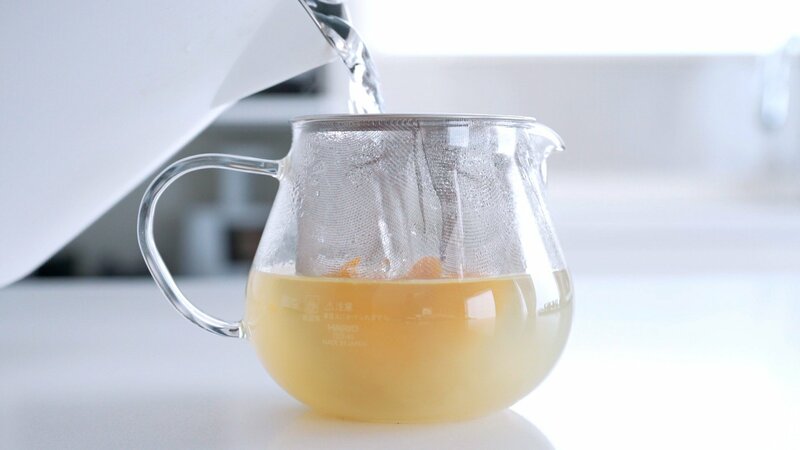 At its simplest, Shōgayu is just ginger, steeped in hot water, but there are many variations, in how the ginger is added to the water as well as what else goes in. 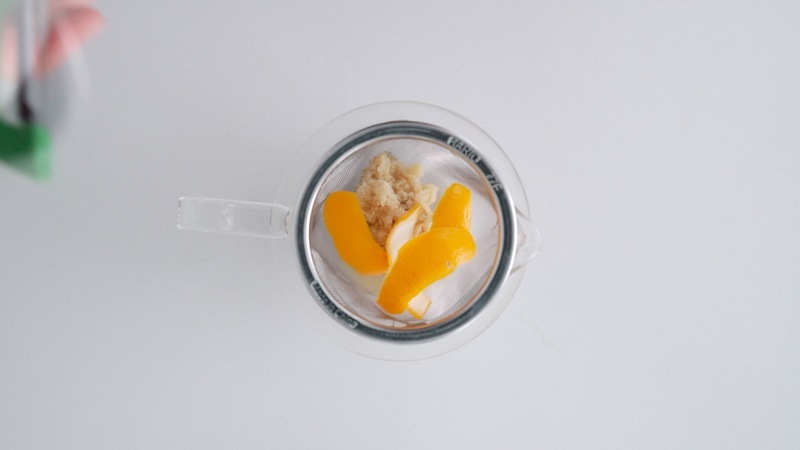 Ginger is the name of the plant whose rhizome we use for cooking. Depending on when it’s harvested, and how it’s cured, the texture and flavor can change. Young ginger which is typically very light in color tends to be very tender and has a milder flavor, while mature ginger becomes more fibrous and pungent. Once it’s harvested, ginger can be cured by drying out the skin, which helps to preserve it. You can tell the difference between cured and uncured ginger by the moisture content of the skin. I like adding lemon zest when I brew the tea to add the fragrance of the lemon into the elixir. 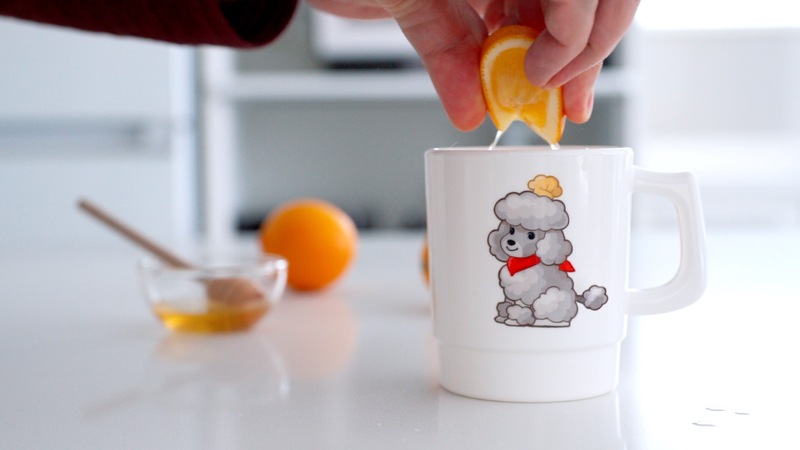 Then I’ll usually squeeze about 1/4 lemon into each mug of Shōgayu as I serve it, but this entirely optional. I used Meyer lemon for this one, but you can experiment with other types of citrus such as yuzu, key limes, or even just ordinary lemons. 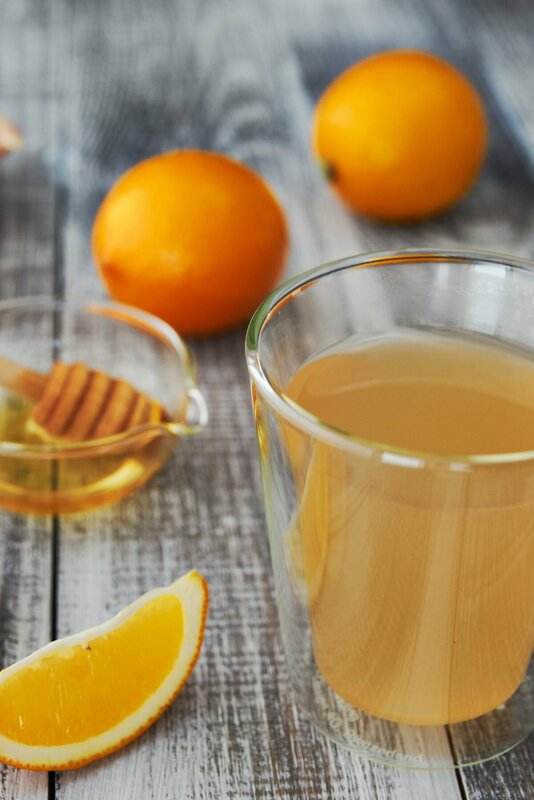 This is another optional ingredient, but the honey not only makes this easier to drink, but it’s also thought to be an effective cough suppressant. While none of this research has uncovered the active ingredient here, I like to add honey to my Shōgayu because it balances out the spiciness of the ginger and the tartness of the lemon. Some people like to add a starch like kudzu when making their Shōgayu. This increases the viscosity of the liquid, which helps it retain heat better. If you do decide to do this, you’ll need to cook the ginger and starch mixture on the stove to thicken it. There are also some people who add more traditional tea leaves to their ginger tea. Green tea, in particular, is loaded with polyphenols such as Catechin, so if you wanna go nuts with the antioxidants, this is another good option. How to Make Shōgayu (Ginger Tea)? Because you’re not going to eat the ginger itself, there’s no need to peel it. That being said, be sure to wash it very well as sometimes there can be dirt lodged between the nodes. 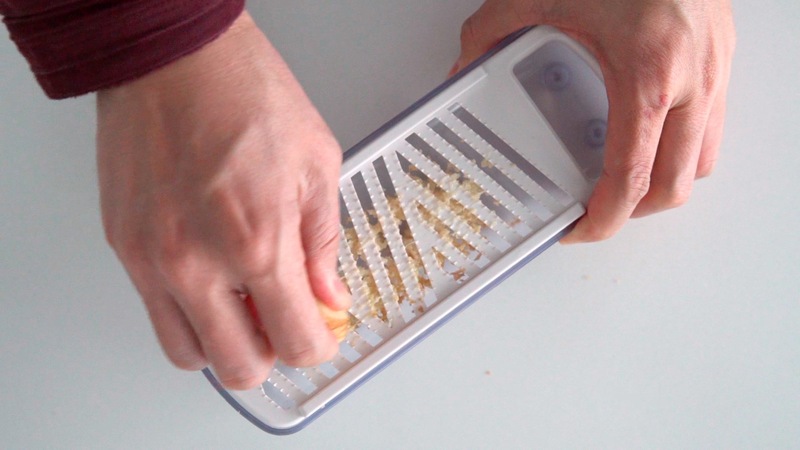 To prepare the ginger for the tea, I like to grate it as it releases the most flavor in the shortest amount of time. If you don’t have a grater, you can chop it finely, but if you go this route, I’d recommend adding a bit extra. Once you’ve prepared the ginger, all you need to do is steep it in boiling water. My teapot has a built-in filter, so I usually just put it in the teapot and then let it steep for 2 minutes. If you grate the ginger, it doesn’t take that long to get the flavor out of it, but because I add lemon zest, I like to let it steep for a bit longer. Once it’s ready, you can pour it into whatever container you’re serving the Shōgayu in, and then each person can add lemon juice and honey to taste. My personal favorite ratio is 1/4 lemon and 1 tablespoon of honey for 3/4 cup of ginger tea. This makes it fairly sweet and tart though, so I’d recommend adding a bit at a time the first time you make this to figure out the right balance for you. Grate the ginger, or use a knife to chop it up finely. 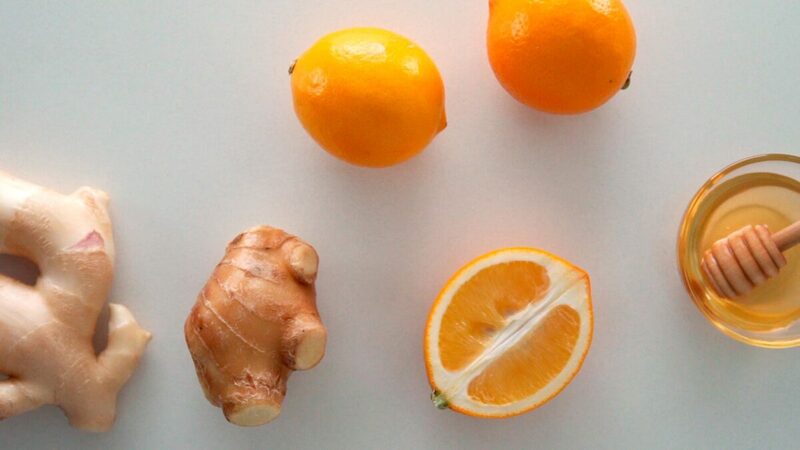 Add the ginger to a teapot, along with some lemon zest. Add about 3 cups of boiling water to the teapot and let this steep for 2 minutes. 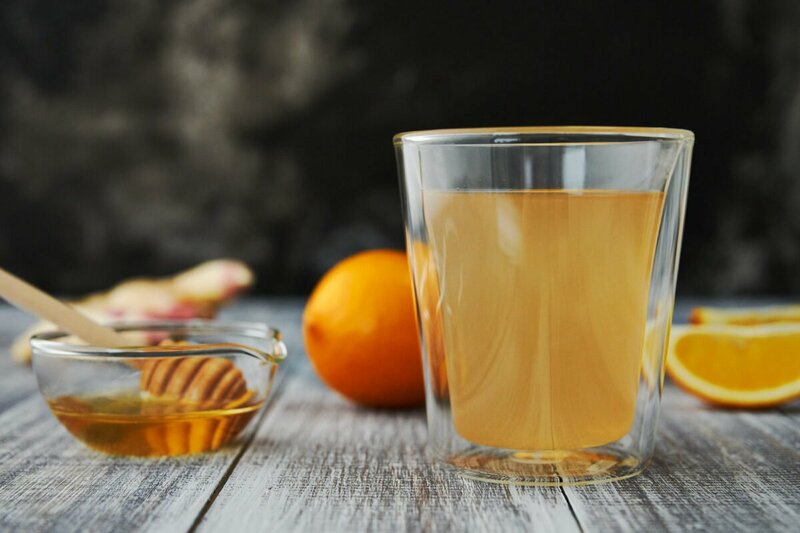 Serve the ginger tea with wedges of lemon and a bowl of honey. You’re welcome Alice, thanks for stopping by to check this out! 😄 it was fun having Francis over on my channel! Ginger tea always works for me for my blood sugar levels and hypertension. I don’t know why but I find it amazing and would recommend it to friends and family. In fact, I converted my son and husband and they drink the tea when they have a cold. It’s also good for digestive problems. Everyone should drink ginger tea! Hi Dee, thanks for sharing your experience with ginger tea. Ginger contains a bunch of enzymes and phytonutrients that have properties ranging from anti-inflammatory to anti-microbial. Like anything I think it’s dangerous to think of it as a miracle cure-all, but there’s very little to suggest there are any negative side effects and there’s a fair amount of evidence suggesting there are positive benefits. Thank you for this. I have known the benefits of ginger root steeped in boiling water. I never thought of adding lemon to it. Nice one! You’re welcome Katherine thanks for stopping by!